And hopefully no new bestial wookiees have replaced me! Anywho, I'm back now, after some several months of not playing. Just a brief reminder of who I am, I play on the ARMA II server as "Beast", and months back I frequently played Project Reality on Battlefield 2. I enjoy growling in a deep voice over teamspeak, muttering obscenities in the background when fate doesn't go my way, and more recently, trying to impersonate Duke Nukem. 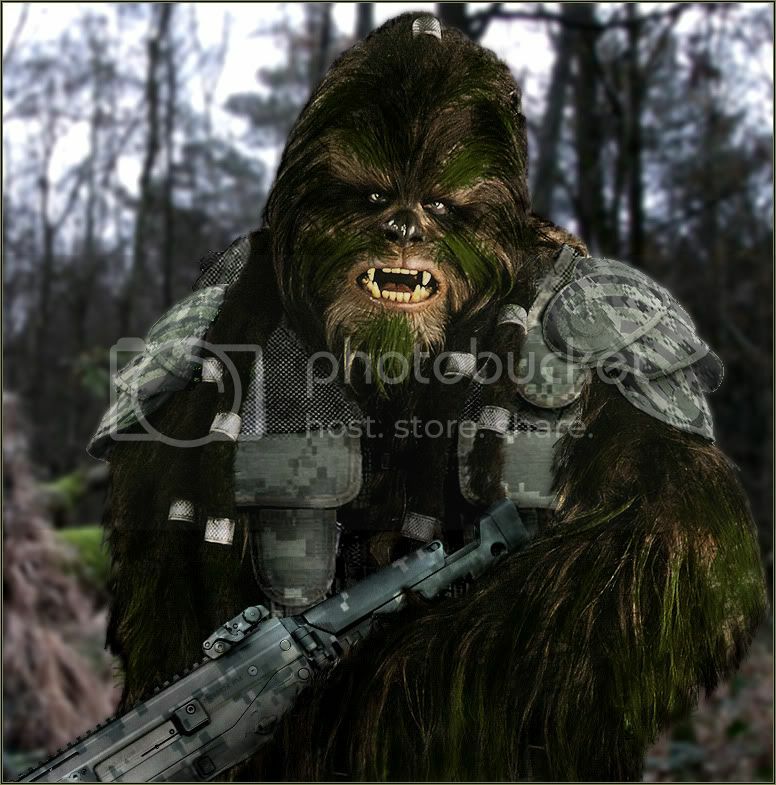 And I always want the wookiee su--err, I mean ghillie suit. Because it looks like a wookiee. Woo, cheers for the welcoming backings y'all. Anywho! Time to make use of some free time and play a bit o' ARMA II here soon; feels good to chill out and play it again!